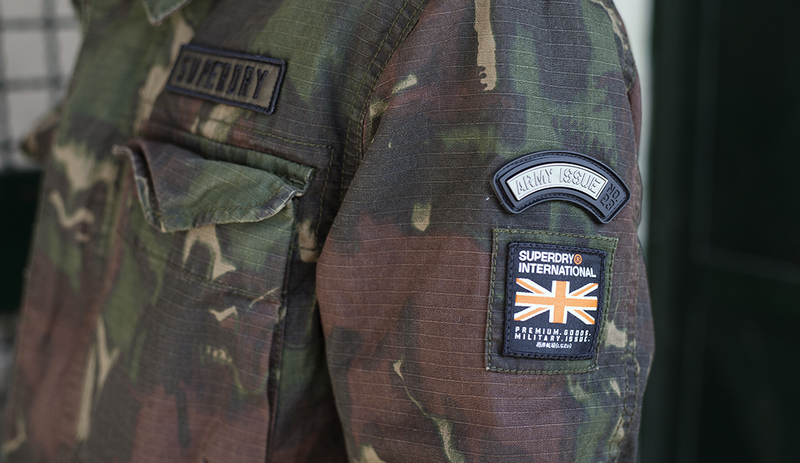 Superdry loves camouflage and if you know The Maxiemillion it’s safe to say that… it’s a mutual feeling. You can never have too much of this family of patterns that is in the streets since John Lennon wore that military shirt, beside belonging to military forces. 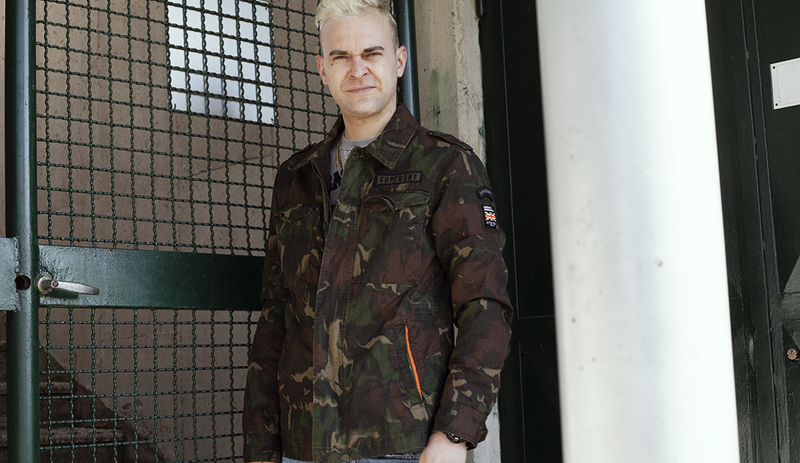 Going through ups and downs, camouflage nowadays is a consolidated part of street style and being Superdry constantly keeping trends in check it was mandatory that a jacket with such pattern was part of its proposal. 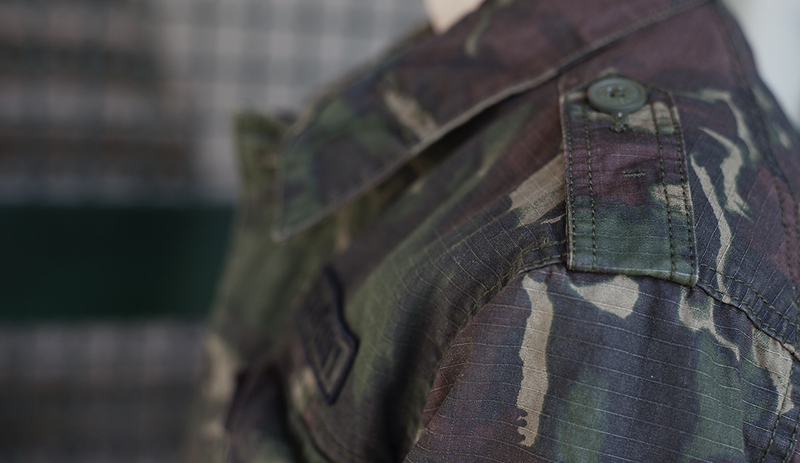 Following the guidelines of the typical M65 jacket this Rookie Patched Deck Jacket is so refined that the starting point of a military jacket is very far. 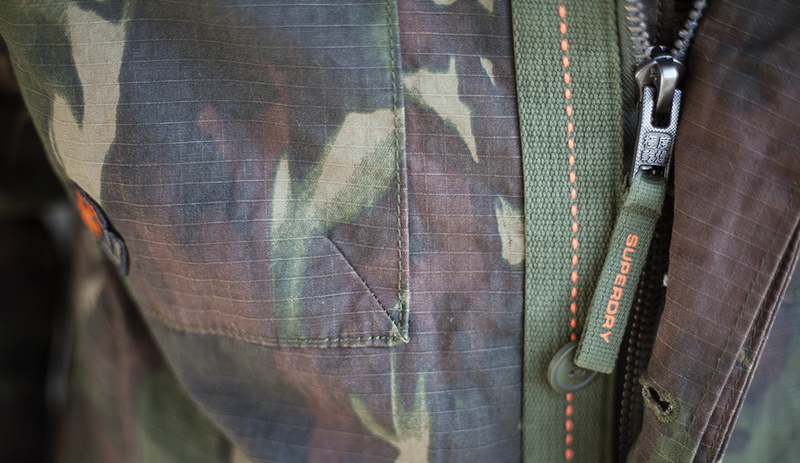 Rich in each of its details, just like Superdry got us accustomed to, this item in its brushstroke camouflage colorway is just crisp at the highest degree. Peep closely every shot of Ianuz A and you will agree with me. 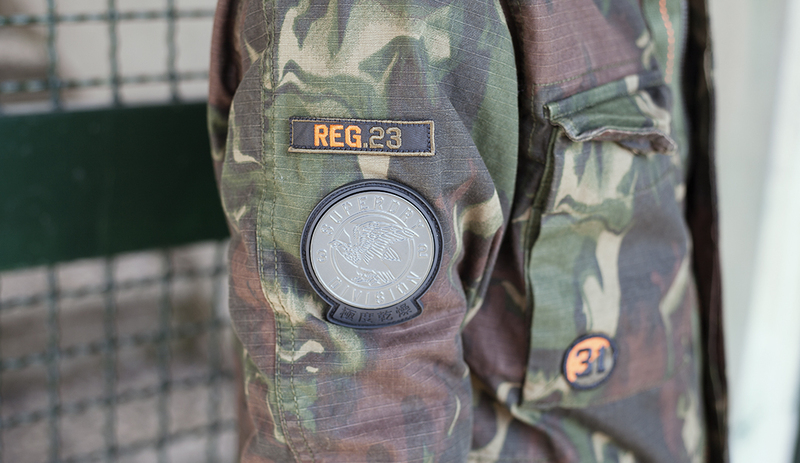 From the patch branding on the front to metal patches on the shoulders, nothing has been left to chance when we deal with such urban jacket. 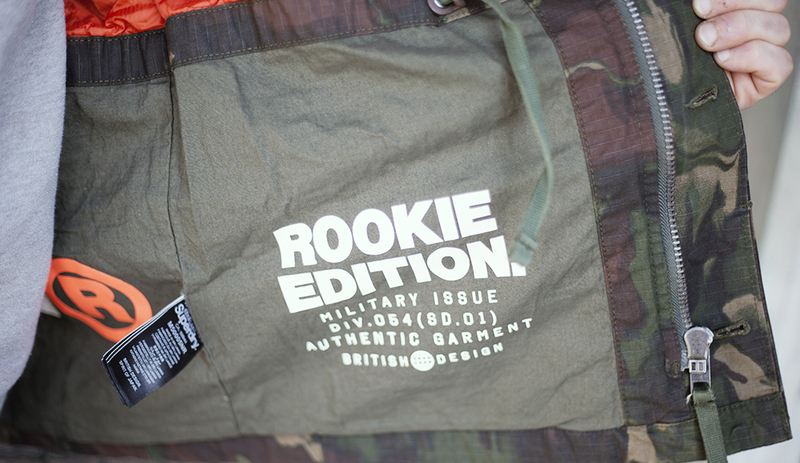 Like it wasn’t enough look how much care has been put to the washing of its ripstop twill. 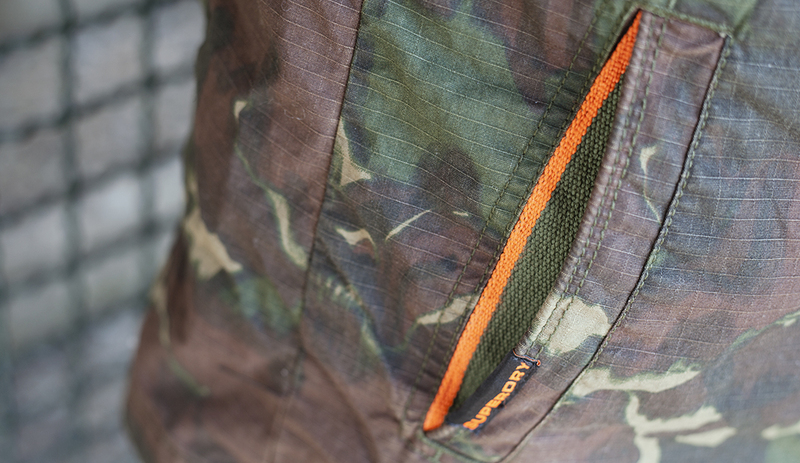 Checking closely to the flap covering the button, you can even see the custom zipper with Japanese ideograms. 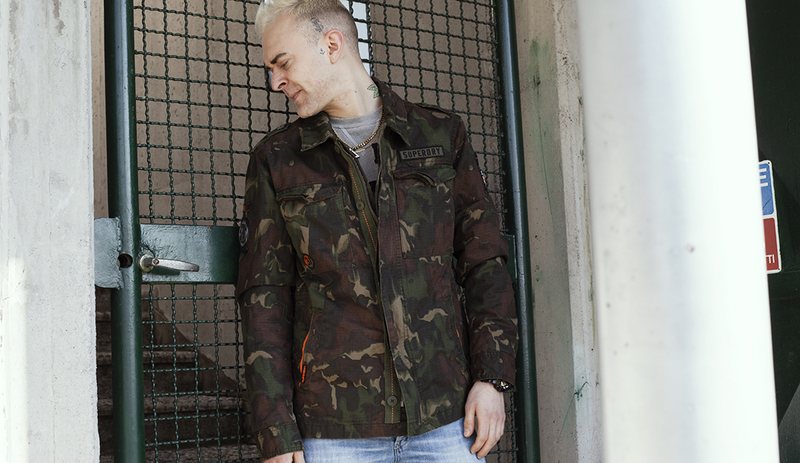 You can tell that this item distributed by Interjeans has a sartorial approach, far from army jackets whose relaxed fit isn’t designed to look good in the city, but to move freely during war operations. 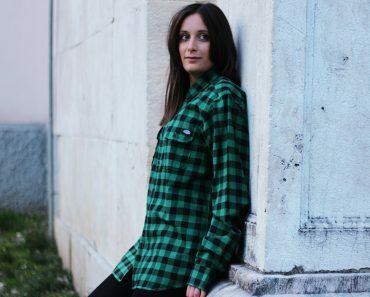 Wearing this jacket you are destined to steal the attention so do your best to wear it in a well balanced outfit. Avoid to overcharge wearing distressed denim pants: sweatpants or joggers or even a chino pant are the best options according to your personal taste. 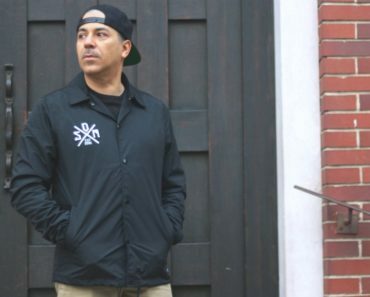 What you have to do now is real simple: chose if you want to go in a BeStandard store and try this on or cop a Superdry Jacket online at Bestandard website. Don’t worry about war tactics: here it’s a win/win situation.